In May 2011 I went on a roadtrip with a couple of friends. 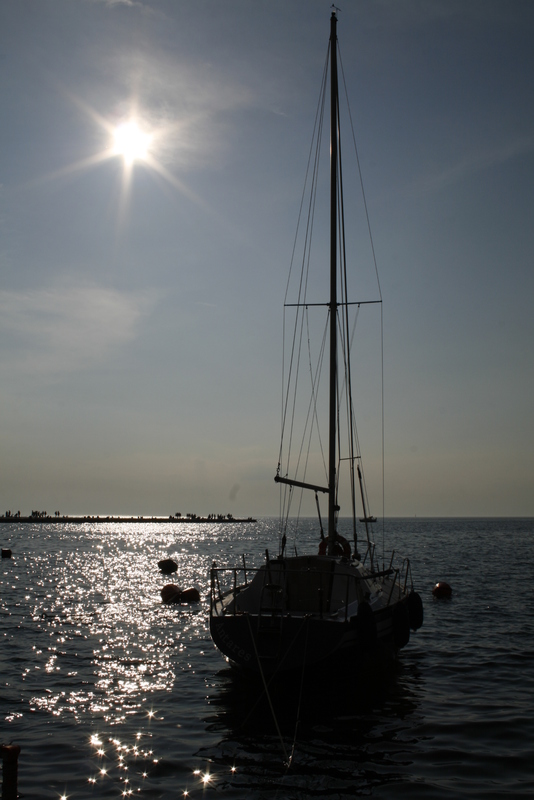 Our destination was Trieste, Italy but we spent one day in Piran, Slovenia. 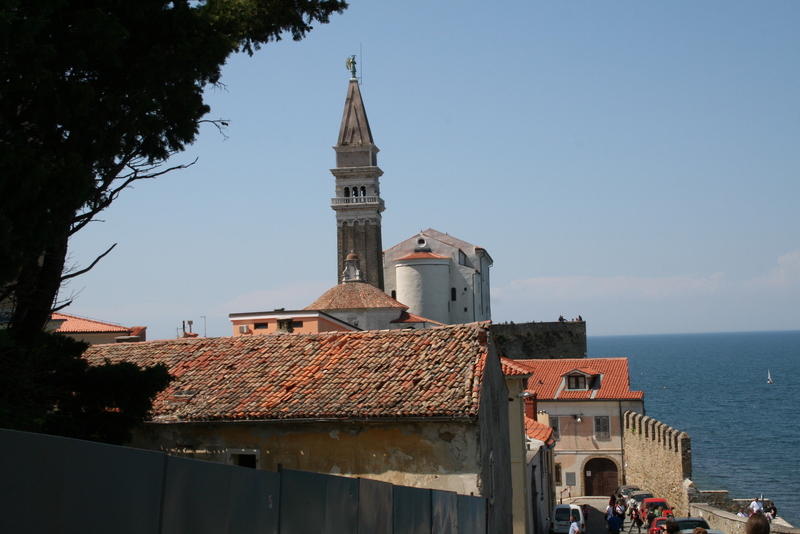 Piran is a charming little city – magical, really. We walked around town, through tiny alleys and along the boardwalk. We ate gorgeous food and had a very intense water fight. I truly have only fond memories of this trip. 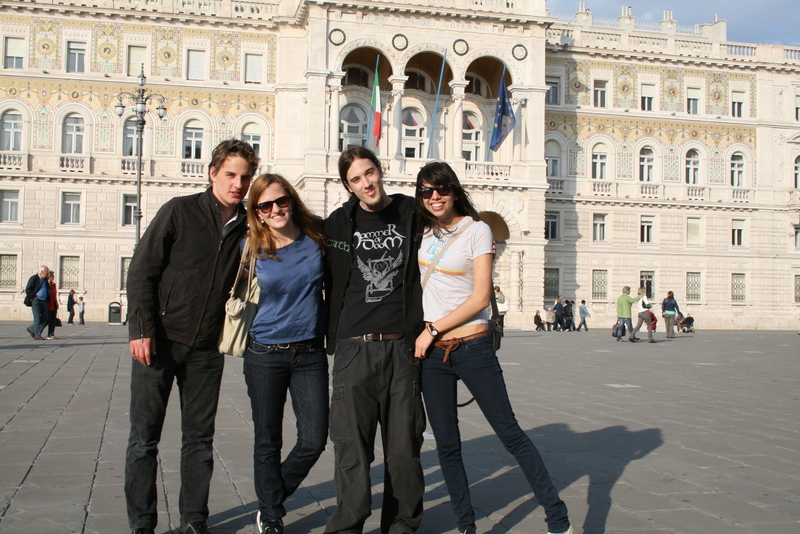 We took our car from Vienna to Trieste (had to pay for parking in Trieste, but only around 3€/day). We divided petrol cost through four so each of us only had to pay around 20€. We stayed in a small hostel near the city center – meals not included. We made a day trip to Piran with a short stop at Hrastovlje, a small town in Slovenia with a cute medieval church. We hiked around the hills there for a while and bought a bottle of wine from the church. Parking in Piran was a bit of a challenge but we managed to find a parking lot not too far off. 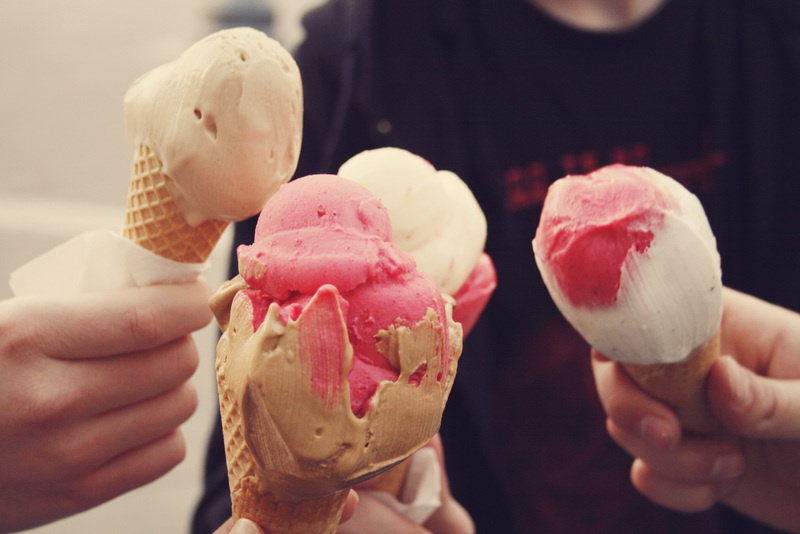 In May 2011 I went on a roadtrip with a couple of friends. 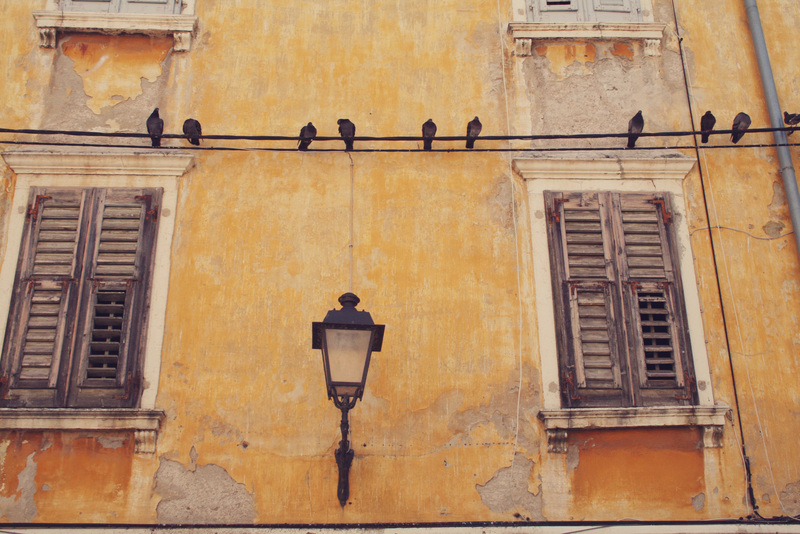 Our destination was Trieste, Italy but we also spent one day in Piran, Slovenia. 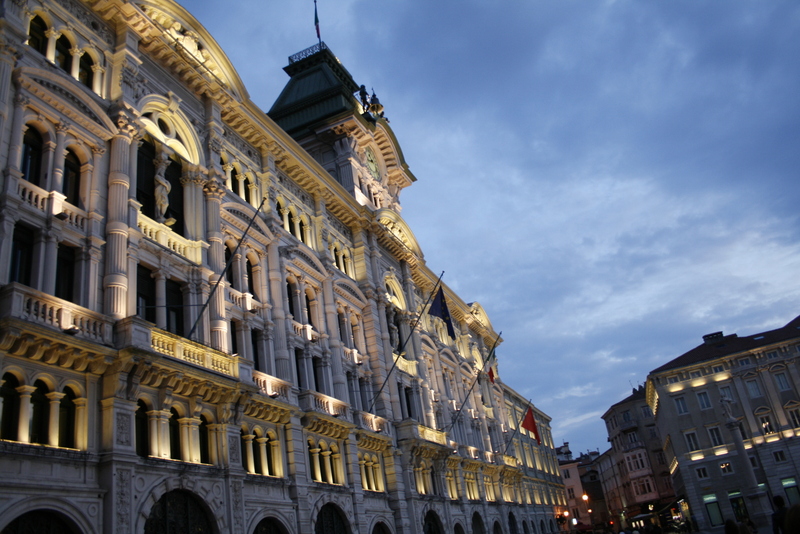 Trieste definitely has a certain charm – there’s something quite special about it. We walked around the city, sat near the harbour playing cards and drinking wine. 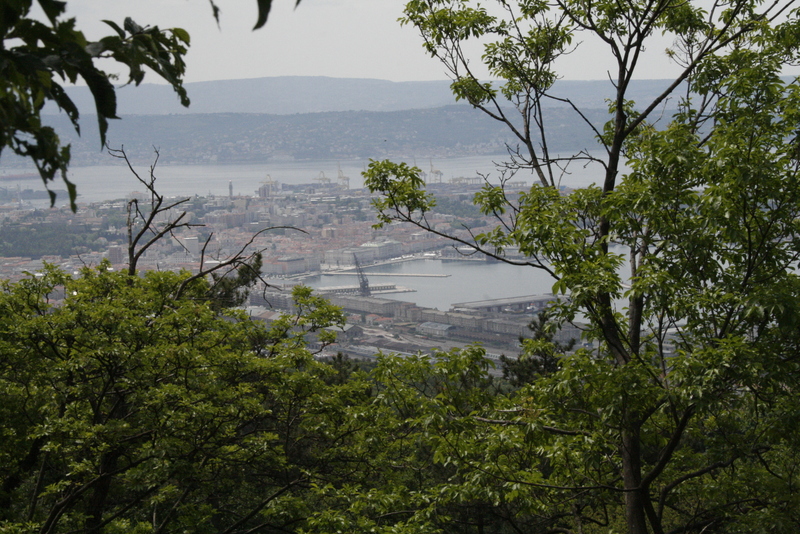 We took the cable car up the hill to Opicina and went for a small hike until we reached a point from where we had a lovely view over Trieste. 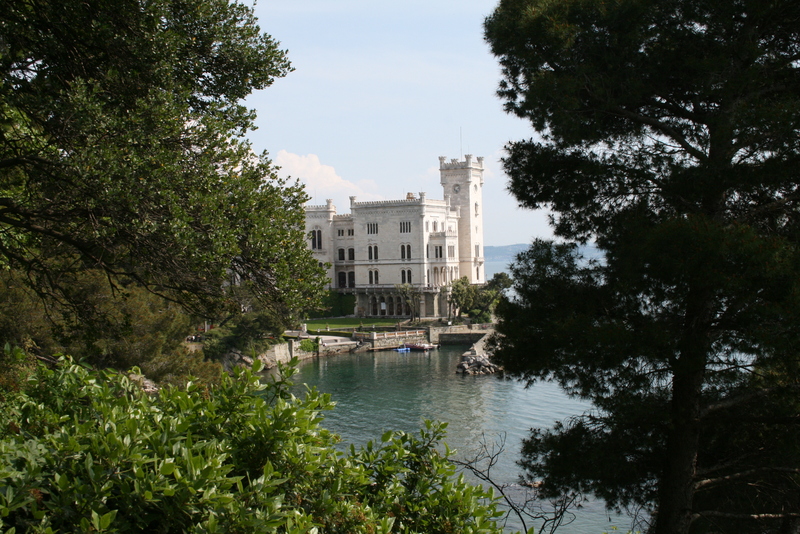 We visited Miramare palace, drank espressi, ate gorgeous sea food, delicious ice cream and had a lot of fun. 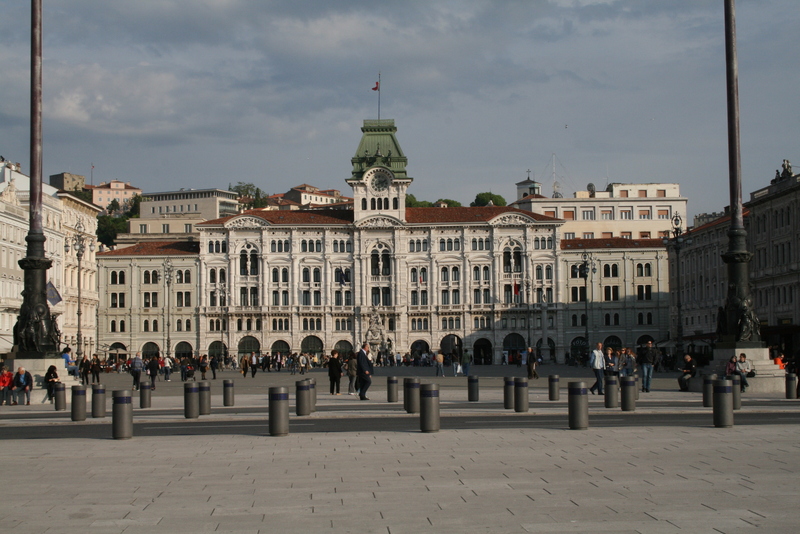 We took our car from Vienna to Trieste which is about 6h drive (we had to pay for parking in Trieste, but only around 3€/day). We divided petrol cost through four so each of us only had to pay around 20€. We stayed in a small hostel near the city center – meals were not included. 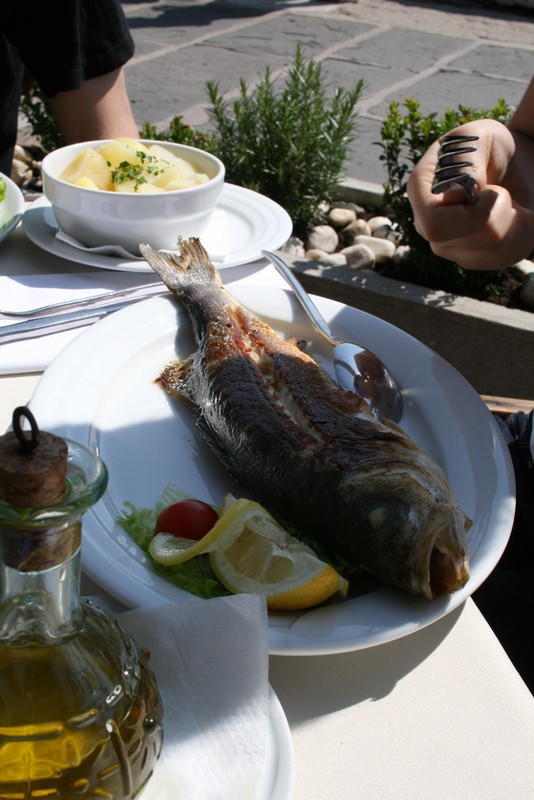 I recommend buying your own food for lunch – like we did that day we hiked up to Opicina. We had a small picnic with a great view. Just some bread, cheese, and prosciutto.